From a very young age, I knew what I wanted to be when I grew up. As the firstborn child of an entrepreneur, it was clear that my family wanted me to be heavily involved with the business my father started 30 years ago. So it’s fitting that growing up, I knew I wanted to be a CEO. I attended a prestigious business school here in Toronto while learning all about the industry and making key connections. Upon graduation I rolled up my sleeves and started working in our company’s marketing department. The years passed as I continued to hone my skills and acumen until I was finally nominated to become our company’s CEO. I was elated! Except, there was one problem. What does a CEO do? I knew I wanted to be a great CEO, I just didn’t know how to do it. It isn’t as if there’s a class in university called, How To Be A CEO, 101. As a marketer, I knew to rely on my strength: research! 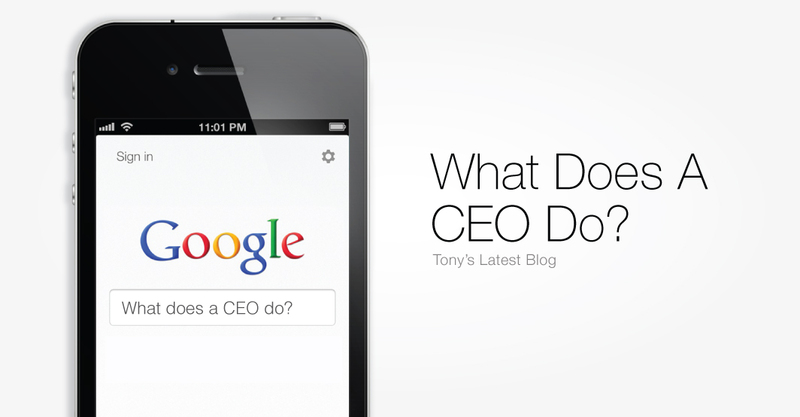 I jumped onto Google and typed in, “What does a CEO do?” I was greeted with thousands of hits that led to mostly uninspiring, convoluted, overly academic articles. I read through the best ones but was left feeling uninspired. I had to alter my search. In my opinion, the term CEO is synonymous with leaders and leadership. I began to focus on what the most powerful leaders in the world were doing. Who were they and what did they stand for? Some such as Steve Jobs or Howard Schultz were business leaders while others such as Gandhi or Martin Luther King Jr. used their leadership abilities to spur incredible movements that changed the world. After years of absorbing all the material I could on the above-mentioned and leadership techniques in general, I’ve developed in my opinion, the three main areas that a CEO must focus on (in no particular order). 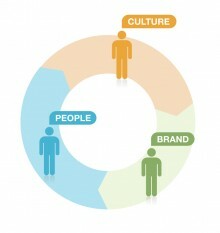 People: People are the lifeblood of your organization. People bring your products and services to life. I believe, it’s all about the people and a CEO needs to be a great talent scout. They also need to have an outstanding intuition when bringing people into your company. Intuition is developed over time as experience compliments education but in it’s simplest form, it comes down to a gut feeling. People can lie and cheat, especially on resumes and during interviews but your intuition will help weed them out before they make it on your team. Tony believes that people, brand and culture are three of the most important aspects that a CEO should focus on. Brand: You’ve consulted with marketing and public relation experts and have heeded their guidance but did you know that your brand doesn’t even belong to you? Nope, your brand is what people say about you when you’re not in the room and it’s only as valuable as what people think about you. All the greatest campaigns in the world can’t help you if people don’t trust you. More and more, people are buying from people and not “companies”. In addition to buying from brands that they believe in, I predict that in the next 10 to 15 years, that the only brands that will thrive are those that are purpose driven. Think about what your brand stands for and what good you can do with your brand. Culture: Last but certainly not least on my list is culture. Culture is, in my opinion, the soul of an organization. It’s your only true differentiator and the only thing that cannot be copied. They can try to copy your products or website but they can never copy the culture that permeates your organization. Your culture is the most unique thing about your business. All companies have them. Some don’t know that they have one; some wish they didn’t have one, while others glorify their culture and use it as a competitive advantage. Simply put culture is your company’s personality and the way that your team decides to show up. Culture defines where you’re going and why you do what you do. Defining your culture can be tricky but the CEO must be the driving force behind it in order for it to take root and succeed – the CEO must epitomize the culture! In the three plus years I’ve been Roma Moulding’s CEO, I learned a lot, made some mistakes and feel better prepared to take on future challenges. I’ve gained clarity surrounding what a CEO is supposed to do and in my case it’s taking care of our people, brand and culture! To all leaders and aspiring leaders, what is your purpose in your company? How do you impact your team, your brand and your culture? Roma Moulding Culture Bits – What Does A CEO Do? How Much Time Do You Have Left? from Roma Moulding on Vimeo. Great advice for all aspiring readers! Fantastic, looking forward to reading the next one. Fantastic read. It’s really important for companies to get that it’s more than just product. You’ve nailed this one perfectly, Tony! Bravo! To be an extension of the brand, part of the family/team and immersed in the culture has really taking on new meaning for me-and I love it!! These blogs are beyond fantastic, life-enriching tales of true struggle and of overcoming adversity that the business world at large could learn from. Like a modern philosopher, Tony weaves inspiring, true tales, sure to astonish and encourage the world into thinking differently about how we live our lives. About how anyone – whether they be the son of a banker, the son of a politician, or even just the son of a CEO – can change the world. Ever the wordsmith, Gareri effortlessly crafts these inspiring bits of prose. Poetically reminding us that, with enough heart, enough knowledge, and enough legacy, anyone can endow others with life-changing knowledge accrued over years of painstaking study and sacrifice. It’s clear what the mission put forth by these blogs is; change the world. And sometimes changing the world is bigger than the products we create, it’s bigger than the way we market ourselves, it’s bigger than the wages we pay our staff – changing the world takes courage. It takes the courage to be different. It takes the courage to stand on stage and share wisdom with the world. Wisdom that will influence others to stand and say “Yes. Today I will be a better person! Today I will follow a great leader’s advice.”. Because without those willing to take that risk, to make that sacrifice, who are we? Without those who have that courage – who will we learn from? Like Martin Luther King, John Fitzgerald Kennedy and Nelson Mandela before him, Tony Gareri shows the true wisdom, humility and leadership qualities necessary to turn this world around for the better. To those men the world once said it couldn’t be done, but they did it. To Jesus of Nazareth they once said “No. It can’t be done. You can’t turn water into wine.” But he did it. And to Tony Gareri they have said “You can’t do that. You can’t singlehandedly stand against all odds and change the world!” but he is doing it. And the world is watching with anticipation to see what he does next. Thank you for sharing 3 key ingredients to assist any Organization in becoming successful! Its a very inspiring and moving blog,Through great Leadership you create others to be great too. Thank You Tony for another wonderful Blog! Corporate social responsibility seems to be a wonderful reoccurring theme in your blogs. The leaders that inspire you are some of the same leaders that inspire me! Your passion, your direction, your path, in my opinion leads to building something sustainable for your employees, our partners, and the global community. It’s great being part of a company with all the right elements! This is amazing! Inspiring leadership! True vision & commitment to transforming Roma Moulding while also leading the way to cause other organizations to transform! Amazing! Love this post! ” the soul of an organization. It’s your only true differentiator and the only thing that cannot be copied.” Well said Tony. “Humility is not thinking less of yourself; it is thinking of yourself less. Humility is thinking more of others.” Thank you Tony for your truth EVERY DAY! I wake up every morning with a passion to serve and I have been given the gift to do so by you and all of the people who surround and support me at Roma. I get to knock on doors with a gift, a relationship, a passion and the desire to enhance a life and a partners business. My favorite core value is # 7. I have always been driven in my professional life, in all aspects of my life, but I am learning that having a drive with a purpose beyond my own self is more fulfilling and contagious than I expected. Proud to be # warrior of wow #drivenwithpurpose #humble #passionatelycommmited, part of a movement that I believe will not only change our industry but change all of us! Another great read Tony! Thanks so much for sharing your insights with us. Really inspiring, making it easy to read and understand…can’t wait to read the next one! Thanks Tony.